sounds from around the world. 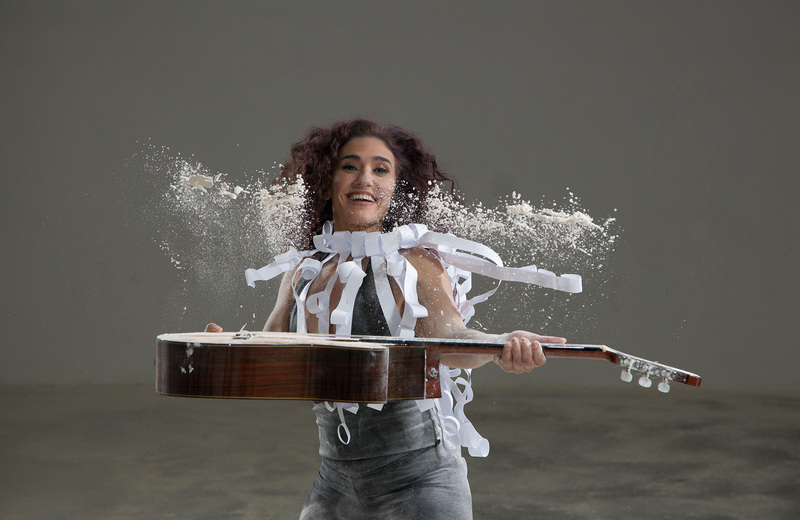 As a result, the extraordinary singer, guitarist, and percussionist is successfully forging an exhilarating genre of music that quite literally defies categorization. In 2011 Badi started a new project with her brothers Sérgio and Odair plus their daughters Clarice and Carolina, as a Quintet. In honor of all the talents of the Assad Family, their hometown of São João da Boa Vista (SP), started the Assad Festival, which has been driving public from around the planet. In November Badi released her first independent and authorial album Amor e Outras Manias Crônicas, through her own label ‘Quatro Ventos. With this project She conquered the award of Best Composer of The Year (APCA/BR) and was selected among the Brazilian guitar masters of history (Rolling Stones Magazine). 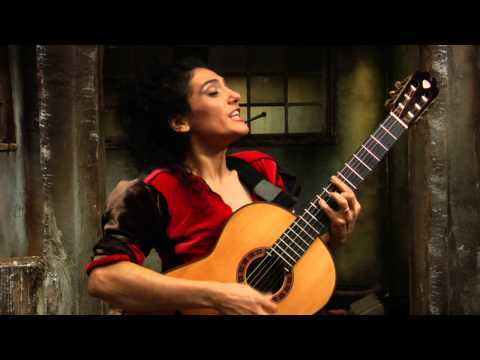 In January of 2014 Badi was commissioned byThe Guitar Film Festival Marathon in NY, to compose for the Chinese silent film 'The Goddess' (1934) and she performed it live at the 'Merkin Hall' (NY). For the same Festival Badi was invited to be the curator and her night was highlighted as the best of the Festival by the NYTimes; In July she released her first CD dedicated to children Casa de Cantos and received the 'Trophy Cata-Vento' as best CD of the year. In August she began writing a weekly column about music for the online version of TOPMagazine. Badi already worked with artists such as Bob McFerrin, Yo-Yo-Ma, Sarah McLaughlin, Seu Jorge and already performed in some of the most prestigious international festivals like ‘North Sea Jazz Festival’ (NE), ‘Brosella Folk & Jazz Festival’ (BE), ‘Stimmen Festival’ (CH) and theaters like ‘Paris Opera (FR), Palais de Beaux- Art (BE), Metropolitan Museum (NY)... She also represented Brasil in the acclaimed American Festivals “Farm Aid” and “Lilith Fair’/US. Skrillex secretly dances to the spirit of maracatu. And as for Lorde, somewhere in “Royals” beats a Bahia heart. The hidden Afro-Brazilian side of some of pop’s best-loved tracks comes to light, thanks to Brazil’s nimble, virtuosic guitarist and vocalist Badi Assad. 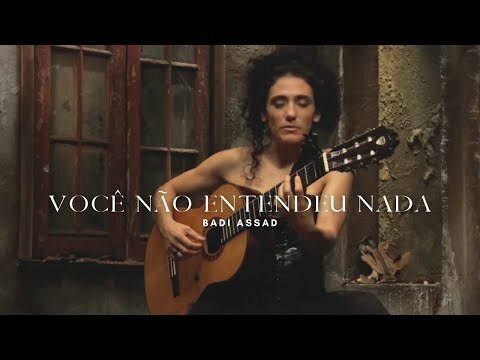 Ranked by Rolling Stone as one of the world’s top female guitarists, Assad is from musical royalty (Brazil’s acclaimed Assad family). She’s incubated a new Brazilophilic way to listen to global hits on her latest release Hatched (distributed by IDC San Francisco; release: October 16, 2015), rendering them with all the gravity and grace the seasoned, expansive artist is known for. Quicksilver guitar work and vocal percussion, sweet and stirring singing are Badi’s trademarks, and they crack open the unexpectedly lyrical quality and deep sentiments of the popular songs Assad chose to explore, arrange, and make her own. Assad will give American audiences a chance to experience these songs, as well as her own compositions, live, when she comes as a solo performer to DC, NYC, Boston, Chicago, Minneapolis, Tampa, and other cities in October and November 2015. February 2016 will see her return to the US, for a performance at the Palace of Fine Arts with Adrian Legg. 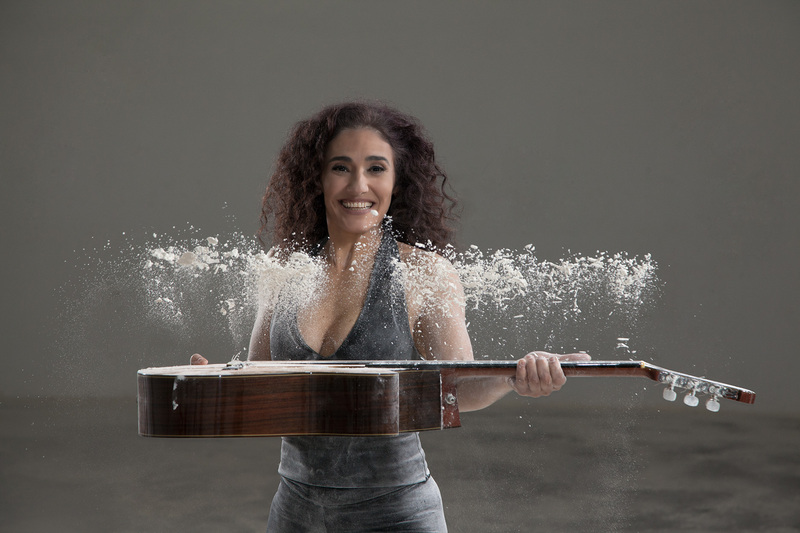 One of Rolling Stone’s Top 100 Guitarists and the winner of the 2013 USA Songwriting Competition in the World category, Assad has enjoyed over 20 years on the world stage, acclaimed as one of the finest Brazilian guitarists of her generation. 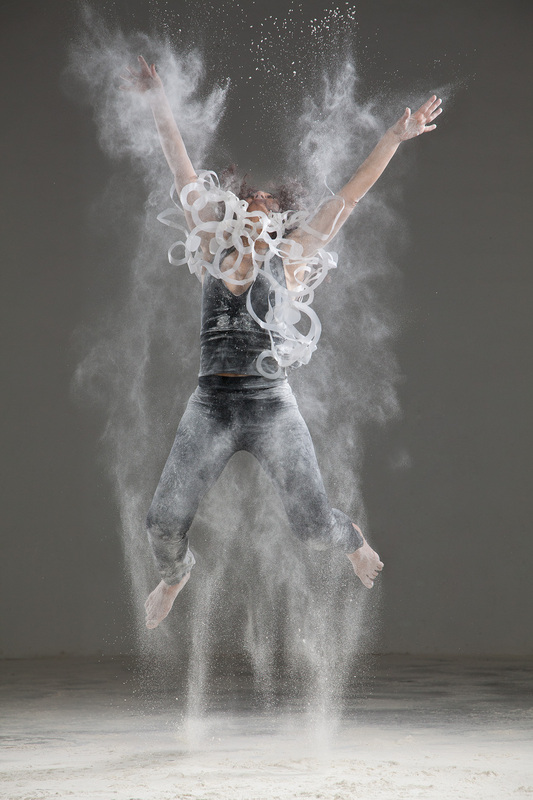 She regularly works in film, music, and dance with inexhaustible versatility. 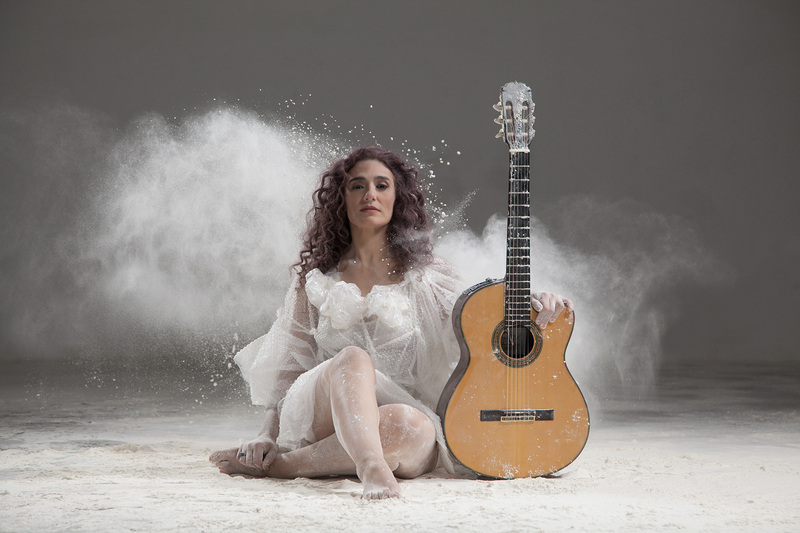 The younger sister of legendary classical guitarists Duo Assad, Badi has forged her own path forward, with nearly a dozen albums and tours worldwide, including legs in China and Cuba this year. Assad was already brooding over her next album, when a serendipitous conversation gave her an unexpected push. After chatting with a friend and colleague on a trip to New York about a new generation of pop, EDM, and rock songwriters, Assad dug into the songs of Mumford & Sons, Lorde, and many others. The depth and beauty of some of their tunes touched her. She began to hear her own versions, like Assad’s tender yet eerie “Hanging Tree,” best known as the keystone of the Hunger Games soundtrack. Yet it was in dialogue with masterful percussionist Simone Sou that many of the covers’ Brazilian sides came dancing out. Sou pushed Assad’s fresh takes into distinctly Afro-Brazilian places, subtly making EDM heavyweight Skrillex, for example, sound like he hails from the northeastern Brazilian state of Pernambuco. 11/03/2015, Video Release, "Video Premiere"